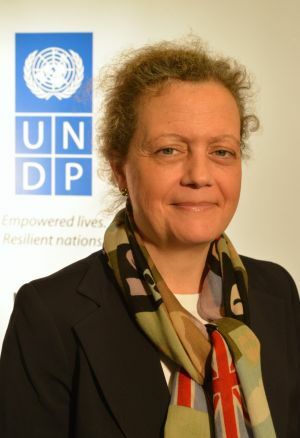 Paloma Duran is Director of the Sustainable Development Goals Fund (SDG Fund). UNITED NATIONS, Mar 5 2015 (IPS) - The countdown has begun to September’s Summit on the Sustainable Development Goals (SDGs), with world leaders discussing the 17 goals and 169 targets proposed by the United Nations Open Working Group. The post-2015 development agenda will focus primarily on strengthening opportunities to reduce poverty and marginalisation in ways that are sustainable from an economic, social and environmental standpoint. How shall the world set the measure for all subsequent work? To illustrate, we are currently implementing joint programmes in 18 countries addressing challenges of inclusive economic growth for poverty eradication, food security and nutrition as well as water and sanitation. The majority of our budget is invested in sustainable development on the ground and is directly improving the lives of more than one million people in various regions of Latin America, the Caribbean, Asia, Arab States and Africa. The main objective of the SDG fund is to bring together U.N. agencies, national governments, academia, civil society and businesses to find ways in which we can reduce poverty, improve nutrition and provide access to affordable water and sanitation. National and international partners provide approximately 56 percent of these resources in the form of matching funds. Each programme was originally chosen through a selection process including the review by thematic and development independent experts. In addition, we ensure that local counterparts engage in the decision-making processes from programme design to implementation and evaluation. More than 1,500 people were directly involved in designing the various programmes. Drawing from extensive experience of development practice as well as the former Millennium Development Goals Achievement Fund, we are continually seeking better ways in which to deal with challenges that present themselves. Gender equality, women’s empowerment, public-private partnerships and sustainability are cross-cutting priorities in all areas of our work. It is noteworthy to point out that we are focusing our efforts on forging partnerships with the private sector as we recognise the importance of actively engaging with businesses and ensuring their full participation in the development process. It is in this vein that a Private Sector Advisory Group will be established this spring, consisting of representatives from various industries worldwide with the aim to collaborate and discuss practical solutions pertaining to the common challenges of contemporary sustainable development. Together we will work diligently to identify areas of common interest and promote sustainability of global public goods. As an example of how we work on the ground, we are setting into motion programme activities that relate to alleviating child hunger and under-nutrition as well as projects that promote sustainable and resilient livelihoods for vulnerable households, especially in the context of adapting to climate change. To illustrate, in Peru we are contributing towards establishing an inclusive value chain in the production of quinoa and other Andean grains, so that the increase of demand in the international market can convert into economic and social improvements on the ground. In addition, we are supporting programme activities that promote the integration of women in the labour market as it is key to equitable, inclusive and sustainable development. We are conscious of the fact that gender equality and the full realisation of human rights for women and girls have a transformative effect on development and is a driver of economic growth. To illustrate, the SDG Fund is currently financing five joint programmes in Africa that address some of the most pressing issues in the region, and seek to achieve sustainable development through inclusive economic growth. In Ethiopia, rural women lag behind in access to land property, economic opportunities, justice system and financial assets. Female farmers perform up to 75 per cent of farm labour and yet hold only 18.7 per cent of agricultural land in the country. We are taking a multifaceted approach to generate gender-sensitive agricultural extension services, support the creation of cooperatives, promote the expansion of women-owned agribusiness and increase rural women’s participation in rural producer associations, financial cooperatives and unions. To conclude, we are looking forward to making a significant impact in the coming years with the hope to meet the needs of the present without compromising the ability of future generations to meet their own needs. Let’s be Free From Consumption and Possession Mindset. sasrai ONLY THE PATH TO SAVE MOTHER PLANET EARTH, NATURE. It’s only the path to Eliminate Racial Discrimination – End violence against WOMEN and CHILDREN. sasrai only the path to end POVERTY, VULNERABILITY, HUNGER, DISASTER, CLIMATE Threat. Each second, minute, hour day needed to be spent considering earth, environment and humanity. We must get each child caring to each particle of food and resources. Wish the Peace, Justice, Dignity and Rights for all – save a bit, reserve, preserve, rejuvenate and conserve resources.